Paul Cultrera has a story to tell, one that in the last few years has become all too familiar. But his way of telling it is unusual: in a documentary made by his brother that will be seen by millions of television viewers. Mr. Cultrera's struggle to find peace and resolution after being sexually abused as a child by his parish priest is the subject of Hand of God, a 90-minute film premiering at 9 p.m. Tuesday on PBS. Locally, it will be shown on WGTE-TV, Channel 30, and WBGU-TV, Channel 27. Paul Cultrera shares his personal story of sexual abuse at the hands of a Catholic priest in the film Hand of God. It premieres Tuesday on PBS. "Everybody has a story to tell, but not everybody has a brother who's an excellent filmmaker," Mr. Cultrera, 57, told The Blade this week in an interview from his home in Sacramento. His younger brother, Joe, has produced a number of documentaries, including three fund-raising videos for the Catholic Archdiocese of Newark, N.J., that helped raise $100 million. Joe Cultrera said he made Hand of God as a way of dealing with the flood of emotions that hit him after learning about his older brother's abuse. 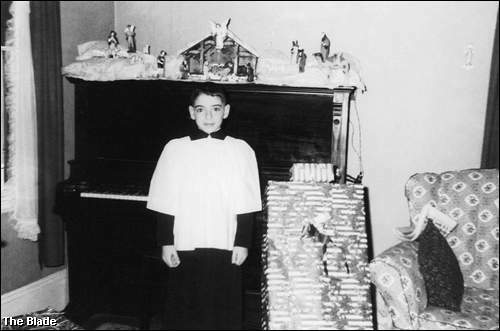 Paul Cultrera at age 13 as an altar boy in Salem, Mass. "There was the Catholic Church and everything else was hell," said Paul Cultrera, a frank-talking former altar boy. "Everyone beyond the bounds of the Catholic Church was doomed." In 1964, when Paul was 14, he went to confession and told his sins to a priest, Father Joseph Birmingham. Among the sins was masturbation, he said in the film, and Father Birmingham zeroed in on that one sexual transgression, ignoring all the others, and told the teen he wanted him to "come see me in the rectory." That mandatory visit led to back rubs and massages by the priest and, ultimately, to sexual abuse that continued over the next four to six months, Mr. Cultrera said. "People must wonder, 'How could you let this happen to you? Why didn't you tell somebody about it? Why didn't you stop it? Why didn't you walk out of the room?'" he said in the film. "I think that it's hard enough for me to understand how I let it happen to me. ... That's part of what I sort of beat myself up over for years. I thought I let it happen to me. It's that whole power structure, that whole environment that we're in that allows this to happen and hopefully something like this [documentary] can explain it." The priest warned him not to tell anyone, Mr. Cultrera said. Ashamed and afraid, he kept it secret for nearly 30 years and built a "moat" around his emotions, he said. It wasn't until 1992, when his ex-wife, Hartley, asked him compassionately if he had been abused as a child, that he revealed his secret. "My ex-wife and I are still very good friends," Mr. Cultrera told The Blade. "She is the person I owe so much to because she had the courage to ask me the question point blank." After decades of shame and secrecy, Mr. Cultrera said it was a relief to finally get it out in the open. "The heavens didn't open up, the ground didn't open, there was no earthquake, my life didn't end," he said in the film. "All those years when I lived in silence, I believed I was the only one. And let me tell you, that was a very lonely feeling." The perpetrator, Father Birmingham, died in 1989, and when Mr. Cultrera went to the California diocese to report the abuse, he was shocked to find that Father John McCormack, who had been in the same seminary class as Birmingham and served in the same Salem parish, was handling abuse cases for the Sacramento diocese. 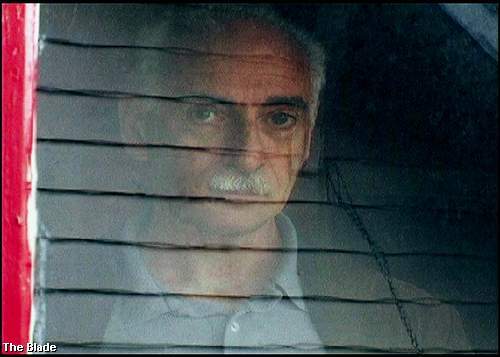 Mr. Cultrera wondered if Birmingham had other victims and placed small ads in Massachusetts newspapers asking, "Do you remember Father Birmingham?" The ads included a post-office box for replies. The first response came from a man in Sudbury, Mass., the priest's first assignment. Mr. Cultrera said the letter said, "Yup, me, my two brothers, the kid across the street, my three best friends..."
He soon found dozens of men who said Father Birmingham had abused them when they were children. Mr. Cultrera took his case to the Boston Archdiocese and sued, settling for $60,000. The negotiations were combative and humiliating, he said. "That process angered me quite a bit. The process of dealing with the Archdiocese of Boston was more abusive than the actual abuse I suffered as a boy," he told The Blade. In one of the most disturbing scenes, Joe Cultrera is confronted by a cleric while filming the exterior of the Boston archdiocese's headquarters. The filmmaker explains that he is making a documentary about his brother who had been abused as a child by a local priest. "Sir, if you think you're going to make me feel bad about this, you're not," the priest tells him, then further insults the filmmaker by saying, "It's all in your head, sir. You're a sad little man." Later, Joe Cultrera learns that the cleric was Bishop Richard Lennon, who had been appointed to fill in after Boston's Cardinal Bernard Law resigned in disgrace. Bishop Lennon is now the bishop of Cleveland. Paul Cultrera said he had no goals or preconceptions when he agreed to let his brother make the film. "I wasn't hoping to accomplish anything. This is a story, and I think it's worth telling, it needs to be out there," he said. Hand of God is a slow-paced, quiet film that hinges on interviews and dialogue, with a sprinkling of old family photos and super-8 home movies. It joins a growing list of documentaries produced since the clerical sexual abuse crisis hit the U.S. Catholic Church in January, 2002, including Deliver Us from Evil and the Academy Award-nominated Twist of Faith about Toledo firefighter Tony Comes' case against Father Dennis Gray. The last minutes of Hand of God show the Boston archdiocese announcing that it was closing St. Mary's Italian Church, where the Cultreras had been members since 1925. "My Dad's mother and others donated their wedding rings to melt into the bell for that church," Paul Cultrera told The Blade. "They said we need the rings and my grandmother's wedding ring is in that church." He said it's sad to see how the film captures the disillusionment of his 92-year-old father, Paul Cultrera, Sr., who had devoted so much of his life to the Catholic Church. "I was back in Salem for Christmas," Paul Cultrera said, "and my Dad actually said to me, 'Your sister and mother want to go to Mass every Sunday, but sometimes I just want to stay home.' I said, 'Why don't you?' He laughed and said, 'Maybe I will.'"